Reis Hall is one of the iconic buildings of Allegheny College, built in 1902 to crown the campus atop the highest hill in the center of the grounds. 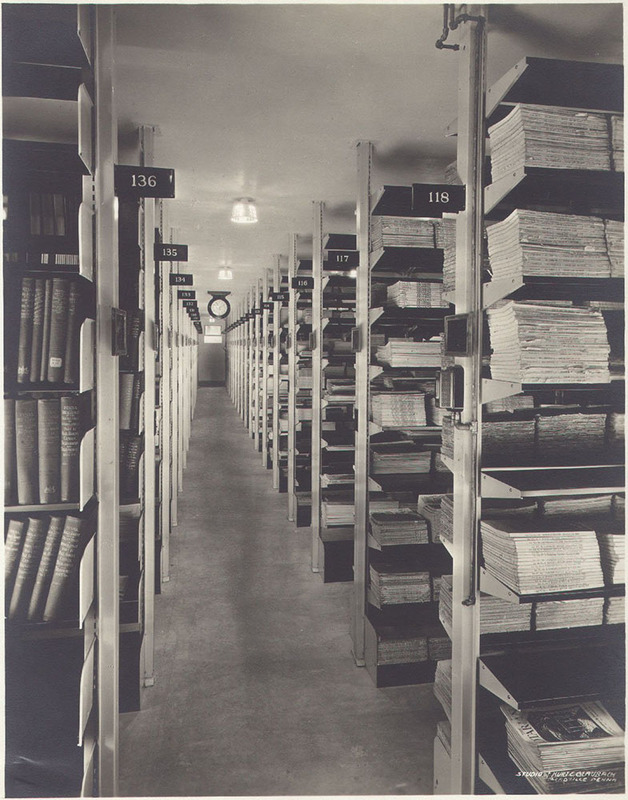 Until 1976, Reis was home to one of the largest libraries of any college, a collection that in its earliest days aroused the envy of Thomas Jefferson. 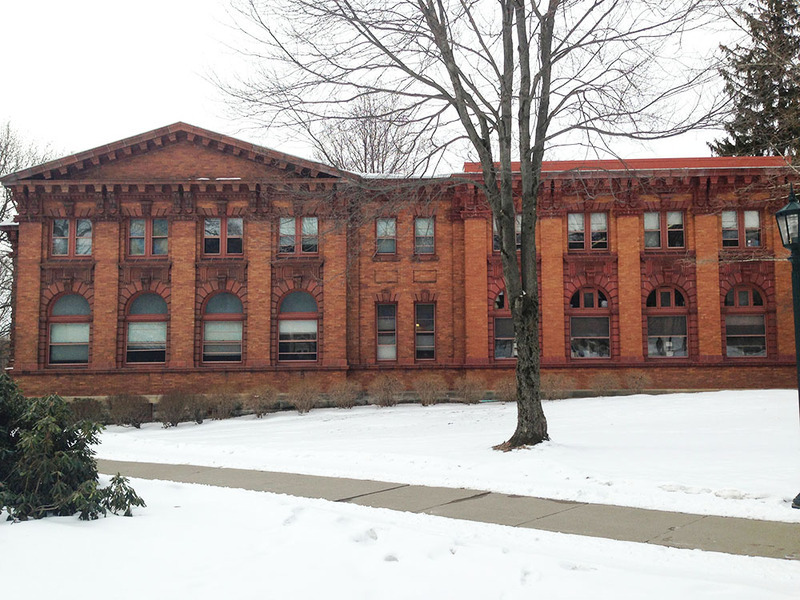 This impressive brick edifice currently houses the Allegheny College Center of Experiential Learning and the Counseling Center, Residence Life, and the Pre-Health and Religious Life departments. 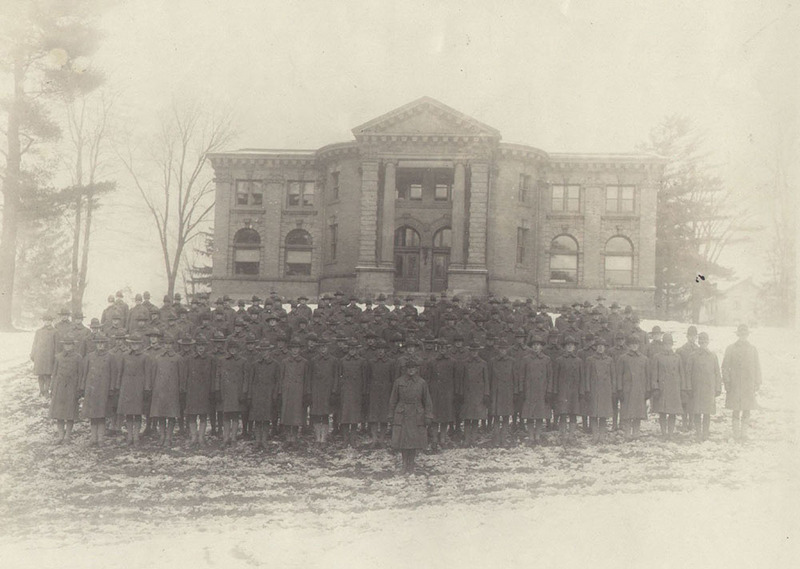 Wanting to usher in the twentieth century with a building symbolic of learning, President William Henry Crawford (1893-1920) undertook the construction project in the late 1890’s with several donors and a pair of design possibilities in mind. Eventually it was W.E. Reis, President and partner of Shenango Valley Steel Co., who agreed to fund the project, but only if his donation was kept anonymous. 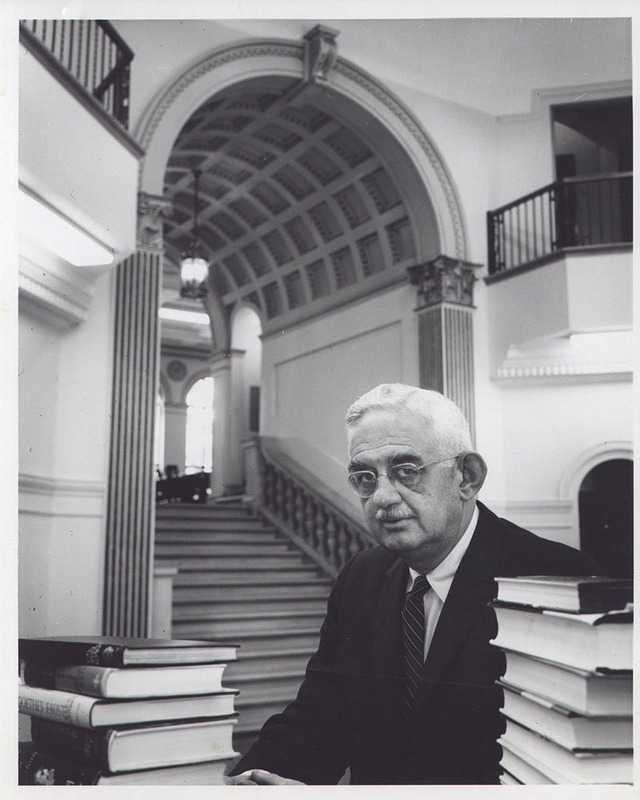 At the end of his presidency, Crawford convinced the donor to go public and the building formerly known simply as “The Library” was renamed the William Edward Reis Library in honor of this generous donation. 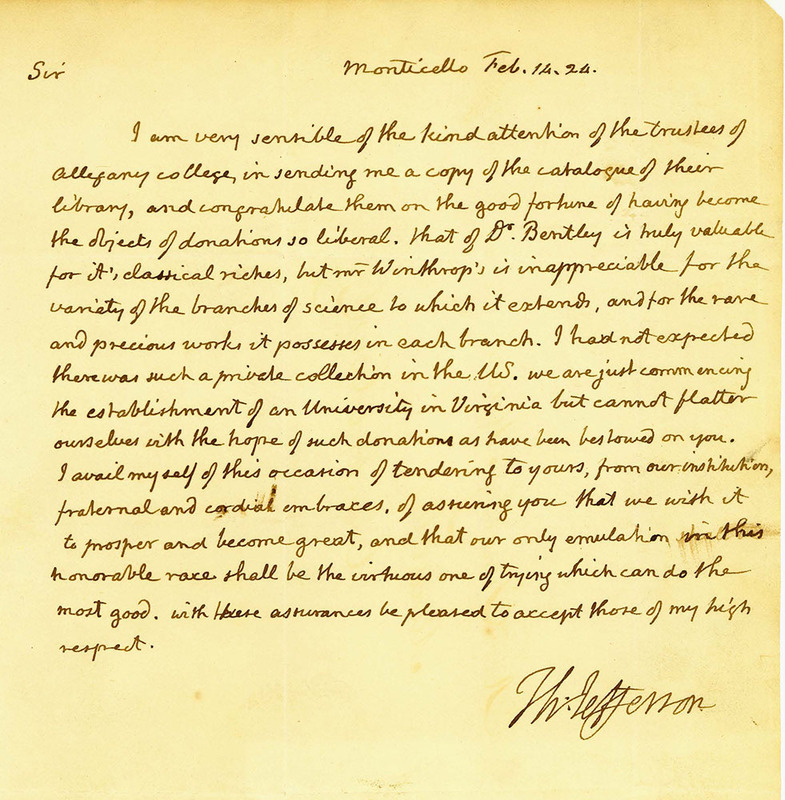 The chosen design was a rotunda created by architect Charles W. Bolton, based on the Nicholas Murray Butler Library at Columbia University, and evoking Thomas Jefferson's Rotunda at the University of Virginia. Its exterior combined features of Beaux-Arts and Italian Renaissance styles while the open interior created an elegant and well-lit space for reading. 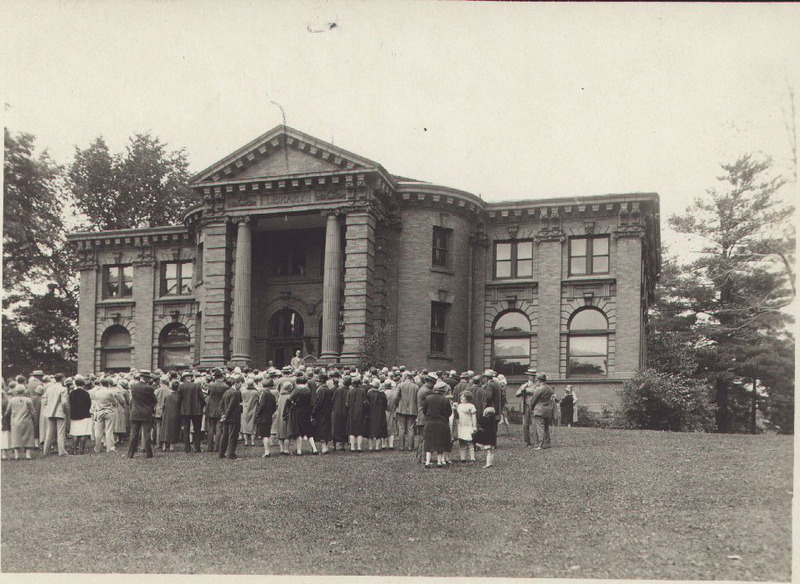 In 1929, a three level addition was added to the north face of the library for the ever-expanding collection, as well as to make space for new bathrooms and the installation of a dumbwaiter to move books. 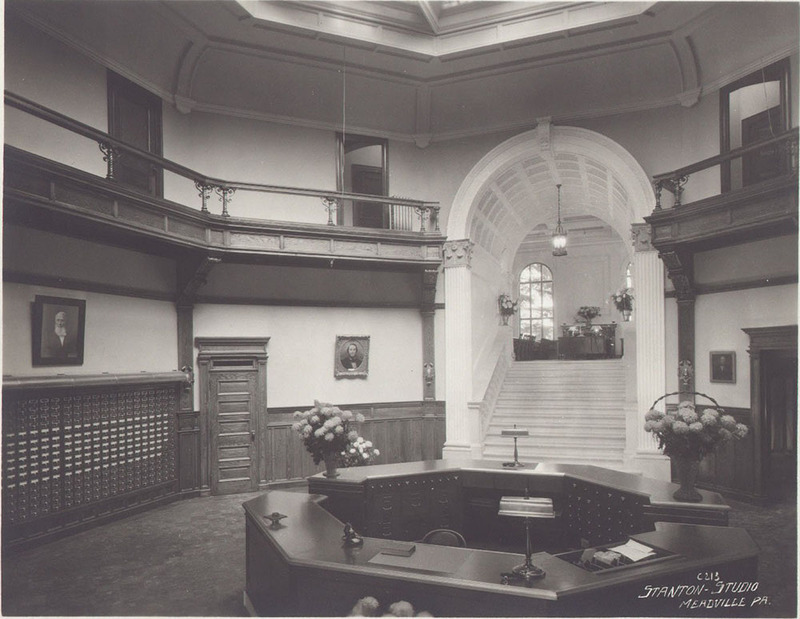 A grand staircase led to the reading room and provided a focal point for the rotunda. Space was also dug beneath the building for a controlled air heating, purifying, and humidifying system, to correct ventilation problems. Construction was finished in 1931, at the cost of $60,000, once again paid for by Reis. 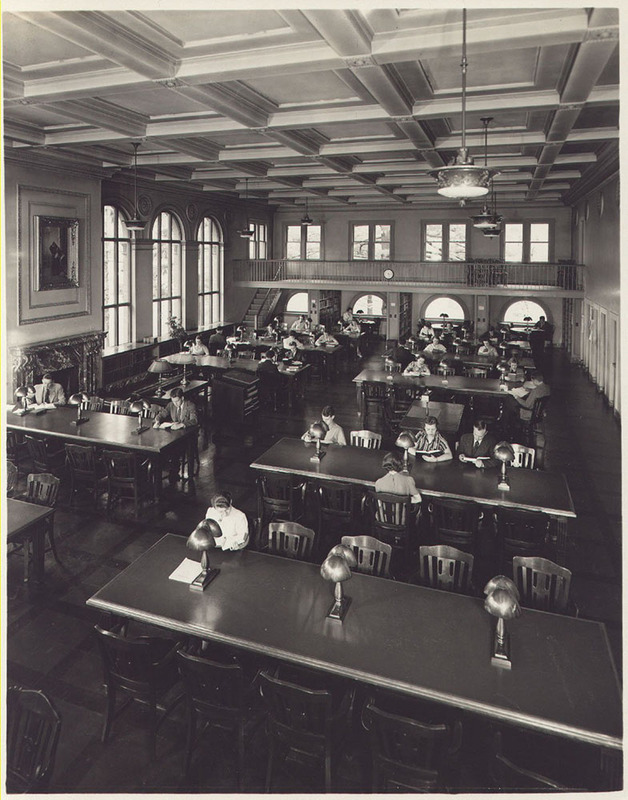 Despite another $765,000 renovation in 1965, Reis Library grew increasingly crowded. President Lawrence Pelletier (1955-1980) and a group of selected faculty eventually decided that a new, modern building was needed. 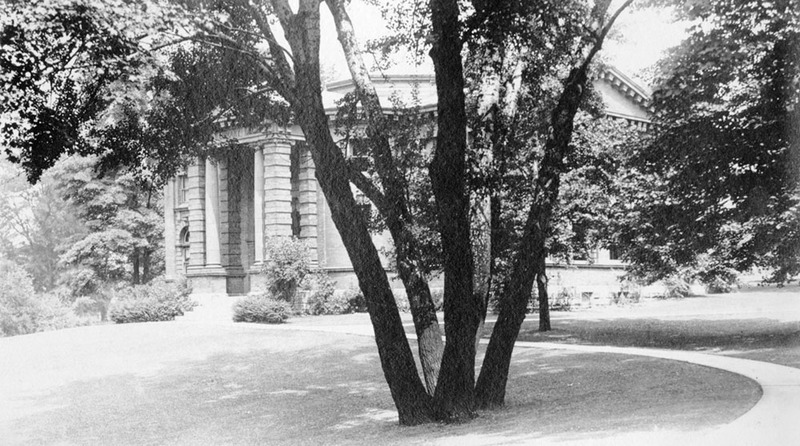 The library was transferred into Pelletier Library in 1976 and this building officially became Reis Hall in 1979. Refurbishing was completed in 1980 as it was repurposed as an administrative building, housing various directory offices, including those of the Dean of Students, Informational Services, the Registrar, and the College’s Development Office. In addition, the basement of Reis, formerly a storage area, became the home of the Computer Services until it moved to Murray Hall in 1998. 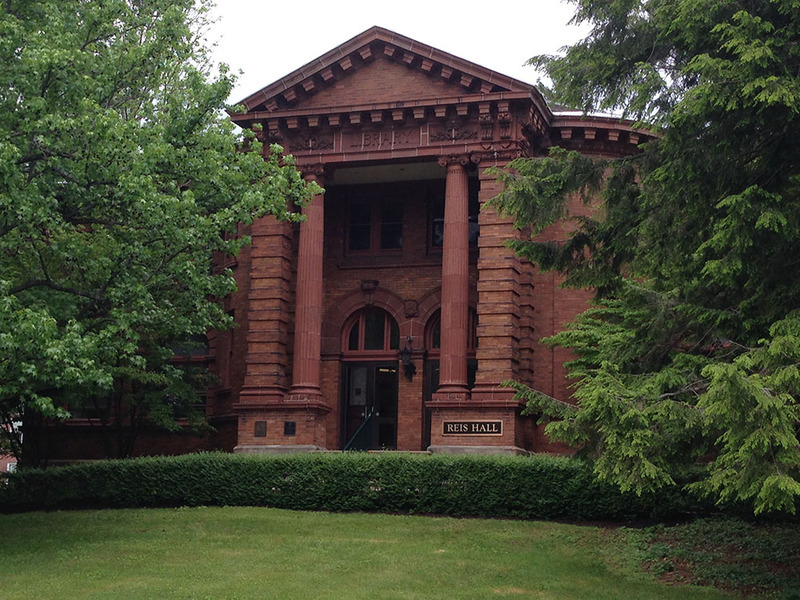 Brennen French, “Reis Hall,” NW PA Heritage, accessed April 26, 2019, http://nwpaheritage.org/items/show/4.